Today we welcome a guest post by Andrea, who lives in Ashby, MA. Andrea started kayaking last year and has managed to get out on the water at least once a week (I'm jealous!). 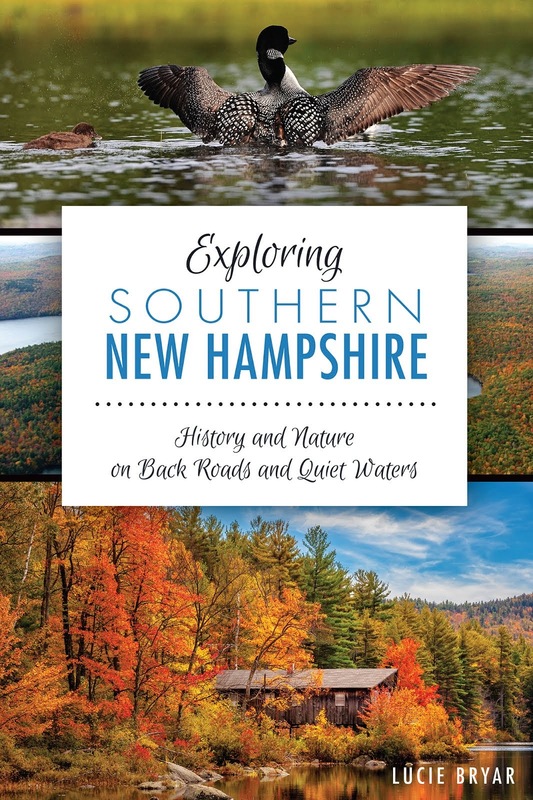 She and her mom enjoy exploring southwestern New Hampshire. "It's convenient and there's an abundance of quiet water," she says. This is a 152-acre pond that really invites exploration. From the launch, we paddled a 50-foot wide swamp channel that opened up to a small island. Little did we know that the island was blocking our view of a beautiful pond. There are only about 5-6 houses on the entire pond. We headed right and followed the shoreline to an outlet brook with a dam and a small bridge. Continuing along the shore, we encountered a pair of loons near the swamp inlet. The swamp had channels coming out of it and looked like it had possibilities for exploration (maybe next time). Most of Sportsmans Pond is beautiful and completely wild, keeping you out of sight of the road and houses as the shore weaves in and out. We saw stone walls, boulders, and a pair of mallards. Around the last corner before returning to the launch, we came across my favorite feature. We paddled to the end of the last inlet, thinking about turning around because of the tree stumps. Then we encountered two boulders, but when we paddled around them...it was like entering a different world: We found a beautiful boulder-filled brook and started weaving in and out, sometimes losing sight of each other. I don't know if a kayak much longer than our little nine-and-a-half footers would be able to navigate the boulders in this brook. We paddled this section until we came to a snowmobile bridge. There are spots that would allow portage and it looked like more paddling ahead, but we decided to call it a day. We paddled Sportsmans Pond early in the season, so I'm unsure about weed growth as the season progresses. We're hoping to get back there to explore further! Things to Know Before You Go: Parking is roadside and only has room for about two cars. The launch is small and gravel. We drove past twice before we decided "this was the place." Directions: Take Rte. 119 to Royalston Road. Stay on Royalston Road past Pierce Road. Cartop roadside launch is on the left side of Royalston Road. If you see the Sportsman Club, you've gone too far. Great Blog. I love seeing other kayakers blogging. Gives me ideas for new kayaking trips. Thanks for writing in. Since I haven't been able to kayak this summer, I would love to receive guest posts. Any place you've been to that you'd like to write about? I'm glad to edit! Thanks for this post! We go to the Fitchburg area once a year and this pond beat the Squannacook, IMO!